Clocking in at exactly two minutes, “Hit The Road Jack” draws up the short course in how to make a Rock-N-Roll record. 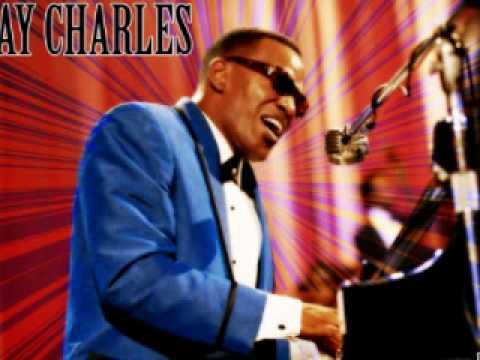 Among the vanguard of the second wave of pioneers, Ray Charles leads the attack with humor, aplomb and an infectious beat in his second #1 mainstream chart song (after “Georgia On My Mind”). It was his first song to hit the top slot on both the mainstream and the R&B charts. The scene is simple enough. A ne’er-do-well man tries to slip back into his woman’s good graces after dogging around. She wants no part of him, his lousy moneymaking abilities and his presumed propensity to spend his little bit of money on bad habits. Vocal interplay between Charles and Margie Hendricks, one of the “Raelettes,” his backing singers, is tight and practiced, the result of strenuous work sessions and close familiarity with the timeless story. The pace of the song gallops. It’s got a touch of Country swing in it; a little Rock-a-Billy; some fast-paced Blues and the smirk of a novelty song. A howling good horn section carries most of the action. A walking bass line snuggles in beautifully with not just the arrangement but with the sentiment, the bass telling the listener the singer surely is walking and walking after being thrown out. Charles’ voice is commanding, protesting and lamenting all at once. 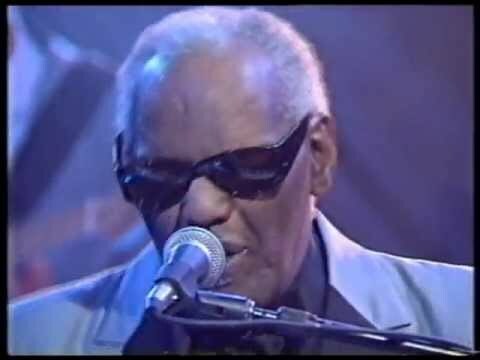 He has some of the greatest Rock/Blues pipes of the last 60 years. The band’s playing is kept together in large part because his growling, barking voice demands that it toe the line. The theme of “Hit The Road Jack” is an old one and can be found from the earliest rise of Ragtime, Country-Blues and dancehall ditties. The diversity of such songs is striking. “Won’t You Come Home, Bill Bailey," by Hughie Cannon; “Tramp,” sung by Otis Redding and Carla Thomas; as well as a freight car full of Country tunes about men (or women) turned out for drinkin’, cheatin’ or havin’ no ready cash. There’s no deeper meaning to “Hit The Road Jack,” just a lot of tartly overstated emotions and a guy hightailing it out of town. It rocks with a vengeance – a course entitled R&R 101. Nothing advanced about it. Just flawless. Ray Charles is one of the Founding Fathers and this is part of the preamble to the constitution. Songwriter Percy Mayfield never quite made it big as a performer but he ground out a number of modest R&B hits. “Hit The Road Jack” is by far his biggest work in terms of chart success. You can’t have Rock without an occasional healthy, hearty scream resounding from the pit of hell to the gates of heaven.